Mireia is an instructional coach and professional developer who works with Bridges teachers. 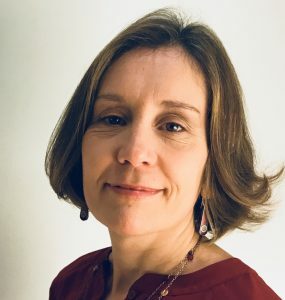 Trilingual in Spanish, English and Catalan, and born in Barcelona, she spent a decade teaching social studies to English language learners in public high schools in New York City, Massachusetts, and Catalonia. While teaching in high schools, she worked in very diverse classrooms with students from more than 30 countries and developed interdisciplinary curriculum that fostered multicultural understanding, while helping students reach their academic potential and learn a new language. Her curriculum for newcomers to gain familiarity with American culture while simultaneously learning English and social studies was recognized by the English Teachers Association of Catalonia. Along with her years of teaching, she is bringing experience coaching teachers to develop documentary and video projects with the Education Video Center, as well as developing content for higher education books at Pearson Education. Most recently, Mireia took a few years away from teaching to work in the field of international relations at the Government of Catalonia in New York. Mireia holds Masters Degrees in Education and Political Science and lives in Brooklyn, New York.